Betty Stallings, MSW, is a highly-regarded international trainer, keynote speaker, consultant, and author specializing in volunteer management, fundraising, leadership, and board development. She has taught at universities; provided training for state, national, and international conferences; and consults with many non-profit organizations, public programs, hospitals, and foundations. Participants in her audiences and seminars have noted her vitality, inspiring message, engaging humor, practical presentations, and valuable resources. For the past 20 years, Stallings has been president of Building Better Skills, designed to inspire and empower people to effectively attract and utilize volunteer and financial resources to achieve their organization’s mission. Prior to her retirement in 2017, she used her website, www.bettystallings.com, to give out free training resources and also carried some of the best books and resources supporting volunteerism and fund development; the website is now closed. 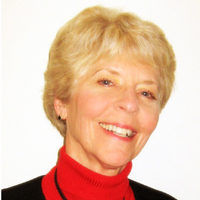 Stallings has received numerous awards for her dedication to volunteerism and philanthropy. She is also the author of seven books and numerous training curriculums and articles. Among the best known titles are: Getting to Yes in Fundraising, Training Busy Staff to Succeed with Volunteers, The 55-Minute Staff Training Series, and How to Produce Fabulous Fundraising Events: Reap Remarkable Returns for Minimal Effort. In 2005, Stallings conducted research on the impact of executives on successful volunteer programs, and Energize, Inc. published the results of that study: 12 Key Actions of Volunteer Program Champions: CEOs Who Lead the Way. A 2015 edition was released. Her last book, Leading the Way to Successful Volunteer Involvement: Practical Tools for Busy Executives, was written with Susan J. Ellis and released in the Fall of 2010. Stallings served for 12 years as the volunteer editor/designer in charge of the “Training Designs” feature section in e-Volunteerism: The Electronic Journal of the Volunteer Community. She also served on the National Council supporting the Reimagining Service Initiative, and served for three years as the co-facilitator/planner of SAVE (Summit for Advanced Volunteer Engagement). A lifelong volunteer, Stallings also founded a volunteer center in the San Francisco Bay Area, serving as Executive Director for 14 years. At the center, she initiated programs which served as national models for volunteer utilization, and also obtained funding and supervised innovative research on volunteer management that resulted in her volunteer center’s publication of the book, At the Heart - The New Volunteer Challenge to Community Agencies. Stallings lives in Pleasanton, California with her husband, Charles. She has two daughters and four adorable grandchildren! She can be reached at bettystall925@gmail.com.